My brother is always calling me with app ideas. One day, way back in late 2003, he suggested writing a calculator that took recipe ingredient amounts and adjusted them by changing the serving size. My husband, our developer, is an avid cook, so the idea intrigued him. He wasn't satisfied with just a multiplier, so he started creating a complicated algorithm for the Palm PDA that would also factor down the result into the simplest amount of steps. 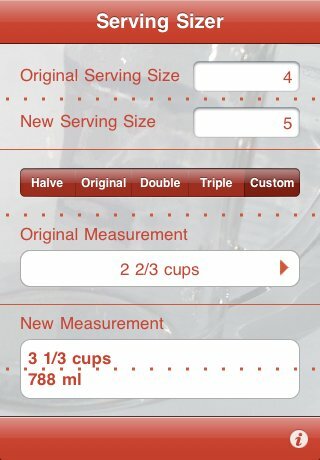 So, if you size up a recipe calling for 1-1/2 teaspoon from 4 servings to 14 servings, the little app would tell you “1 Tablespoon and 2-1/4 teaspoons”. He wasn't satisfied with just that, so he displayed the result also converted into metric. Thus Serving Sizer was born and released in February 2004, at the inexpensive price of $9.95. We've since 'ported the app to iOS, both for iPhone and iPad, learning many lessons along the way. Being able to react quickly to market realizations, potential for features, and more, has helped us along the way. This post will cover some of those lessons learned on the road to making Serving Sizer a successful app. One brief comment before I get started. Perhaps you were looking for my next iDevBlogADay post to include the final chapter of the 4P's: Promotion? It's quite a large topic, so I want to break it down, be very thorough with it, and do it right. Since it's the holiday weekend, I've been spending a bit of family time, plus working on one last update to Serving Sizer Recipe Cards that we want to get in before the Christmas break, so the time remaining did not allow for a proper Promotion post. Rest assured, it is forthcoming! Serving Sizer on the Palm was a moderately successful app for us on the Palm platform. The app worked well because Palm apps were more function-focused, rather than data or graphic intensive. When iOS opened up, we started with a 'port of Date Wheel, typically our “learning” app for new platforms. It's a challenging app, yet simple enough to tackle. We attacked Serving Sizer next, because it was also simple and because we wanted to get more apps on the AppStore quickly. Trip Boss, our flagship app, would be a major undertaking to 'port, so we put that off until after Serving Sizer. Date Wheel was released in August 2009 and we started on Serving Sizer. Designs were made to improve the app to include the whole recipe, with ingredients, to allow people to store a whole recipe to change the serving size as needed, but we were still approaching the app as a calculator. We didn't target it as recipe keeper, but one to add favorites to just for resizing. The competition we evaluated were other calculators for the kitchen, but not recipe archiving apps. The app was taking too long as we were learning how to do proper navigation controllers and still had a day job. The holidays were approaching and we wanted to get it released before them. It would be very nice to get a cooking feature over the holidays, but knew we would be lucky to even get it released BY the holidays. So we switched gears and decided to do a lighter version first, just like the Palm app. We figured we could upsell to the “Pro” version with the simpler version, but we had to get something out now. Timing and Murphy's Law was not on our side. 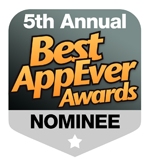 We submitted the app just before Halloween, but it took nearly 2 weeks for review (remember those days?). We anxiously awaited for it to appear on the New Releases list....and waited...and waited. The AppStore had frozen. Rankings were nonsensical. A glow stick app rocketed to the top 10. We were on the AppStore (you could search for us), but no one knew we existed! Panic! By the time the store righted itself, we were buried on the New Releases list. And there was no hope to release a quick update to get back on the list—the AppStore had also changed. Only new apps were on the list. We were devastated. We also had no time to promote the app before the holiday, so the only thing left was to work on the Pro version and try to recover. Lessons Learned: What can go wrong, will go wrong (Murphy's Law). Set targets well in advance of prime sales periods and don't only rely on the AppStore for exposure. We completed Serving Sizer Pro by March 2010, just before the iPad was coming out. We always felt behind, not being able to capitalize on opportunities. We were already behind in trying to get Trip Boss out for the upcoming travel season, since the two Serving Sizers had already taken over six months to complete. My husband quit his day job to speed up development work. We had done this before in 2003, but Palm died, so he had to return to work. The iPad was due to be released in two weeks and calls for developers to submit apps was right around the corner. All our developer colleagues were working hard on their iPad apps. We made an impromptu decision—we'd take Serving Sizer to the iPad! My husband literally worked around the clock for a whole week. We created a new UI and were able to reuse much of the Pro version's engine, which enabled us to get it done so fast. Since developers got no advanced hardware, we crossed our fingers that it would work without incident by just testing on the simulator. We created a simple, but workable UI and got in on the debut of the iPad AppStore. And, one week later, Serving Sizer Pro for iPad (now renamed Serving Sizer Recipe Cards) was featured In the Spotlight by Apple! The feature remained for two whole weeks, including after the iPad 3G version was released, so we rocketed to #7 in Lifestyle. We were the first app for storing personal recipes (not from an internet recipe database) on the iPad store. In addition, Serving Sizer Pro on iPhone got a feature in the UK and Australia at the same time, followed by an Apps For Foodies feature in the US and Canada. We like to think the iPhone app got noticed because we were one of the first few iPad apps. Lessons Learned: Take a risk and release an app in conjunction with the hardware/new feature that Apple is promoting. When one app gets noticed, other apps may get noticed, too. As mentioned before, we were focused on the functional part of the Serving Sizer app family. For the iPad app, since we cranked out the release in time for the iPad launch, we had to cut features. Since data entry is labor intensive, we underestimated that users would only enter their favorite recipes. However, the iPad is easier for entry, so this assumption was very false. We had numerous requests for searching and sorting. We thought we'd have time! By now we were focused on Trip Boss, so had left the Serving Sizer apps alone, with the exception of bug fixes. We did, however, get another Apps for Foodies feature for Serving Sizer Pro on the iPhone in late September 2010, which was welcomed. iOS4 was announced, with new graphics, which we also ignored. Competition moved in on the iPad, but we didn't update—still working on Trip Boss. The competition did their homework and ate our lunch. We got another feature on the iPad—"Summertime". But the main competitor also got featured and our sales went to zero (ref. my previous post for details) until we matched their price and then sales went a little above normal. The competitor grabbed a position in the top 10; we maintained our sales. We knew what we should do, but Trip Boss was our focus. We finally finished the first module of Trip Boss in early November, and then got out an categories update to Serving Sizer Recipe Cards Pro for iPad in late November in the midst of a Holiday Cooking feature. Lessons Learned: People will use your app differently than you expect—listen to them and react. Learn to whom you're marketing. The competition will learn from your app; you need to keep it fresh and competitive. 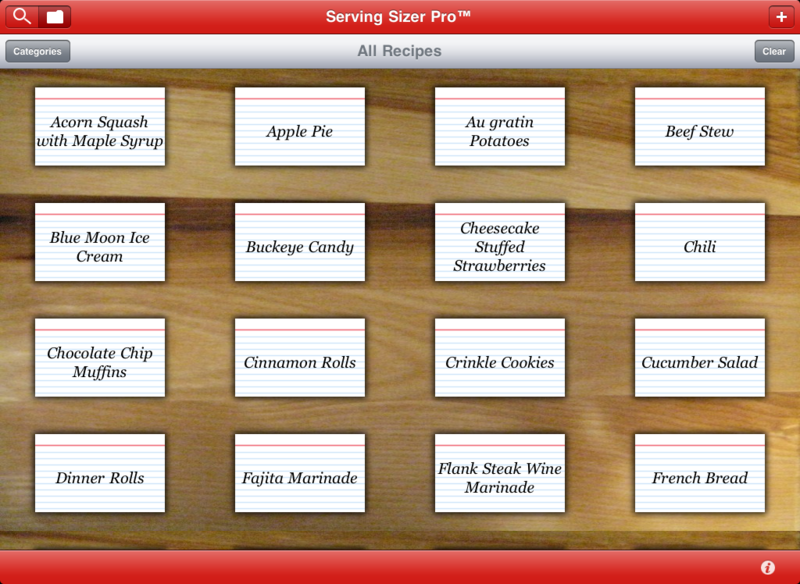 With the update to the iPad app, Serving Sizer Recipe Cards, we introduced a really nice new icon. 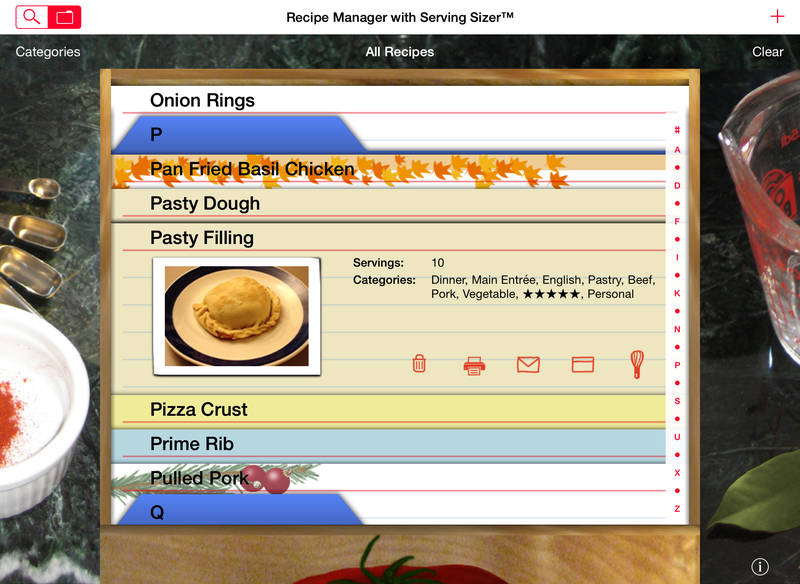 We now knew what our app was about—a box of virtual personal recipe cards for the iPad and the icon reflected this. 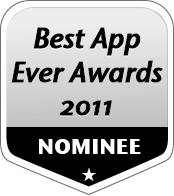 The app even took 3rd place in "The 2010 Best App Ever Awards" for the Parenting Category in January 2011. Sales rose, and the holiday season was good to us. However, the update to add categories was not. The update wasn't crashing or buggy, but it had an unintended consequence due to poor communication through the UI. When filtering by category, it was not obvious that the categories were filtered, so it gave the impression that recipes had been lost! In addition, if no recipes met the filter criteria, all the recipes would disappear! We started to get angry reviews that that app had lost all its recipes (which it hadn't—it just hid them through filtering). This trend was certain death for this kind of app! We finally got an update out at the end of January, still too long. Lessons Learned: Don't delay fixing a user interface confusion issue, else reviews will kill you. Oh, and good icons make a difference in sales (but would do better if you didn't have the other issue). Lesson Learned: Keep your apps up to date. You won't be guaranteed a feature, but not updating could keep you out of consideration. Still plagued by the categories update misunderstandings, even with the fix, we removed the Split View from the iPad when we did the iOS5 update. The Split View was causing iOS5 bugs, plus was a major reason for the categories “perception of loss” fiasco. Instead we added in search and revamped the categories with the iOS5 update, to a much better user interface. We had finished our last Trip Boss module update (Journal) before the travel season (timing on our side for once) and focused on Serving Sizer Recipe Cards for iPad. We did a competitive analysis on recipe card apps (we had a few more creep in), now that we knew our target market. We set a feature roadmap and are slowly cranking through the changes (a percentage of our development time has been focused on contract work, to support ourselves). The iPad version also got a couple of AppStore features this month—Holiday Cooking and Party Planner. The first week of sales was great. Our new major UI appearance update was released just going into the second weekend of the feature. The combination of the update and the feature skyrocketed the app to rank in the 30's, then 20's. The update made a major difference and brought us up to par with the lowest ranked competitor, as far as appeal. Plus with both of us being featured, we matched their price (past lesson learned). Lesson Learned: People DO judge an app by its cover. Following the update, as members of MomsWithApps, we were fortunate enough to get in last minute (thank you Lorraine!) on the pre-Thanksgiving MomsWithApps AppFriday promotion. In order to participate, we had to deep discount our price. We risked loss of income in a middle of an Apple feature, and right before the US Thanksgiving holiday, one of our biggest weekends of sales. We justified it as “cost of promotion,” and discounted the app at 99c for the day. We were not disappointed—the AppFriday promotion and sale rocketed us into the #6 position in Lifestyle! Next came another big decision—what price would garner the best income? Do we keep it at 99c? Or do we go back to the previous price (discounted to $3.99)? On the iPad, 99c apps in our genre are considered less quality, less feature rich, so we couldn't keep it there permanently. Is revenue or rank more important? We debated keeping it low for the rest of the weekend, but we felt we'd peaked at #6. For now. On the way down, our sales should still be up, at any price. So we went back up to $3.99 and it worked! 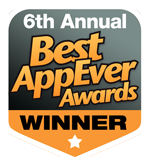 Revenue was up and we also maintained volume and rank above pre-MomsWithApps AppFriday states. Since then, Serving Sizer Recipe Cards slowly floated down and finally settled in the mid 30's. Our sales and rank have remained consistent, a good sign. Lesson Learned: Take opportunity as it presents itself. Manage it to your best advantage.